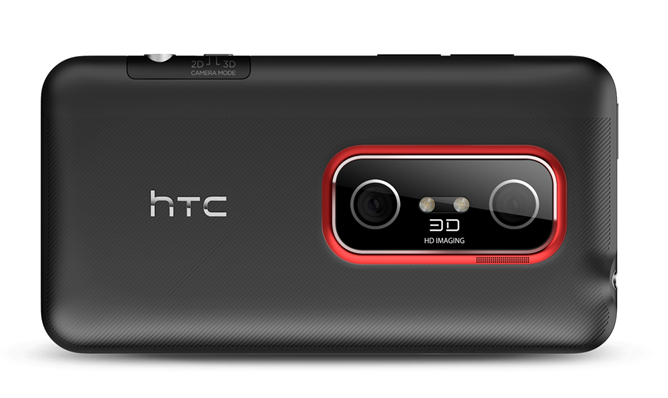 HTC has an above-average track record with software updates, but they appear to have misstepped with the most recent PRL version for the EVO 3D. 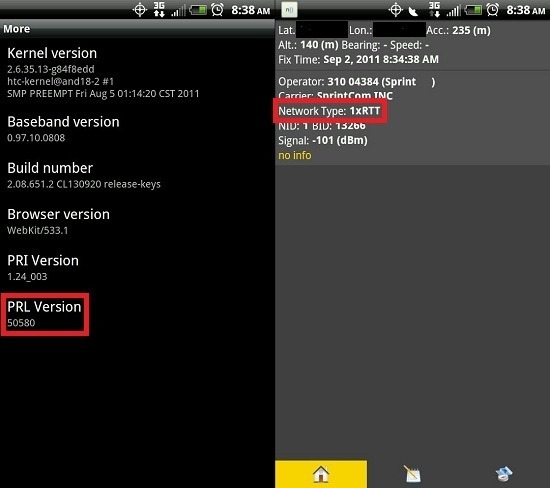 For some unfathomable reason, said PRL (version number 50580) seems to be blocking Sprint's 3G network for a lot of users; as a result, they are left with no choice but to rely on the considerably slower 1xRTT technology (2G) for data. Fortunately, there's still hope for those who unknowingly applied PRL 50580 - simply revert to the previous PRL (21081) using the instructions at Good and EVO. 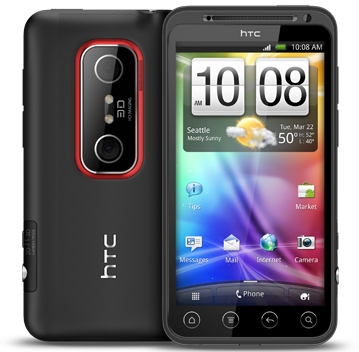 Last week, Amazon Wireless had a deal going for the HTC EVO 3D where newcomers to the Now Network could score the device for $99. 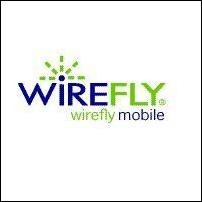 Not to be outdone, Wirefly has fired back with an even better deal: if you sign a new agreement with Sprint, you can get the EVO 3D for $50. Also unlike Amazon Wireless' deal, current Sprint customers will only have to drop $100 with a contract renewal, saving around half of the retail cost. 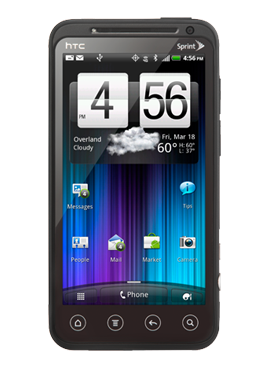 The EVO 3D is easily one of the hottest phones on Sprint right now, and with good reason. It's fast, functional, fluid, and brings a lot of incredible features to the table, like 3D and Sense 3.0. If you've been waiting for a good deal to come along before dumping your current carrier and switching to The Now Network, now is the time, as Amazon Wireless is letting this 3D shooter go for $99 with a new two-year agreement. 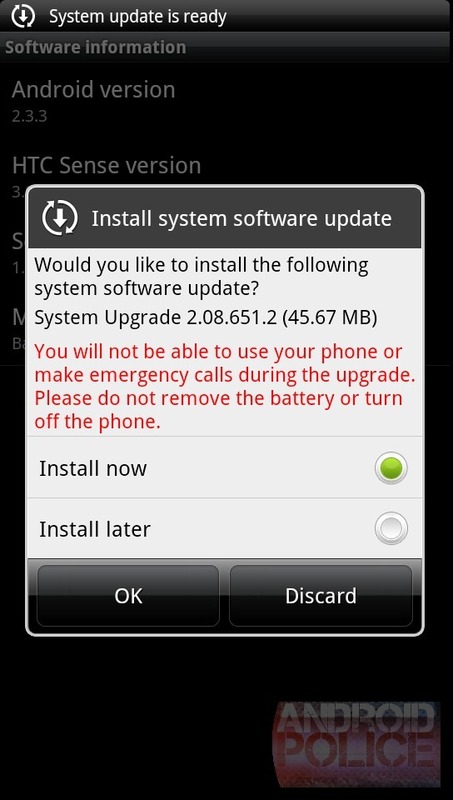 Keeping with its tradition of addressing software issues in a timely fashion, HTC just started pushing out a minor bug-fixing update for the EVO 3D. The update (version number 2.08.651.2) began its rollout this morning and should be available to all EVO 3D owners by 8/23. Additionally, the Samsung Conquer 4G will be receiving a security patch (EG15) on the day it launches (8/21), so if you're planning on picking one up, be prepared to update it as soon as you take it out of the box. Earlier this month HTC released details about their roll-out plans for its bootloader unlock process and the devices that would be supported. Today, in answer to some of the questions posed by HTC’s Facebook fans, HTC released an update on how the bootloader unlocking process will actually work and why HTC’s newest phones are still shipping with a locked bootloader. 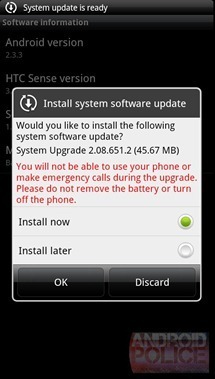 As mentioned in their earlier post, HTC is continuing to make every effort to release OTA software updates within the month to enable unlocking of the HTC Sensation followed soon by the HTC Sensation 4G and the HTC EVO 3D. 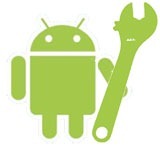 Canadian telecom Rogers have given Android users north of the border a bit of good news this afternoon, as they've confirmed that their release of the HTC Evo 3D will have an unlocked bootloader. This response came from Rogers rep "RogersKatie" in the discussion thread below a blog post announcing their forthcoming Android products. This hopefully confirms the carrier's official stance on the matter, and isn't a matter of miscommunication. 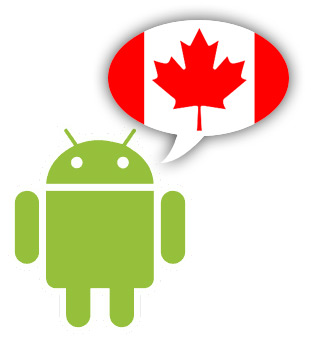 As a Canadian consumer, this is a great step in the right direction when it comes to keeping our devices up to date and in line with Android devices in the United States.